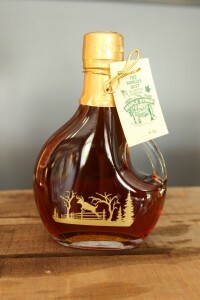 This bottle tastes and looks like Vermont! It would make a great gift. The gold seal and the hang tag add a decorative touch! Sugarer Zebulon Towne supplies Proud Flower with his delicious wood-fired single source maple syrup. 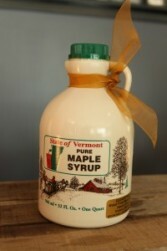 The 3500 tap Sugarbush is located on Nina’s and Zebulon’s land in Duxbury, Vermont. Let us wrap your gift for that extra-special presentation! 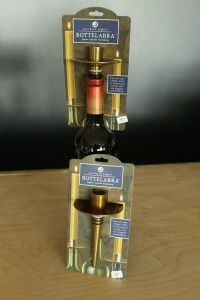 Bottleabra! Upcycle any empty wine or other decorative bottle into an elegant candelabra. It is designed to hold a standard taper candle. It is made of cast aluminum with rubber rings to ensure a secure fit. CHARMING LOG CABIN TIN 16.9 OZ. This charming container of SugarTowne wood fired maple syrup makes a great gift! 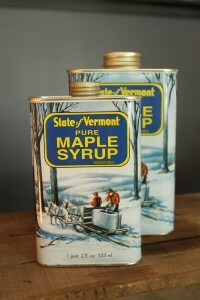 It is filled with Dark with Robust Taste 100% Vermont maple syrup. 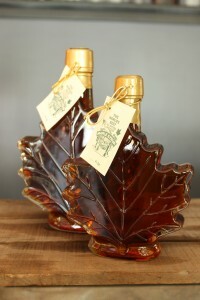 This maple leaf shaped bottle has raised veins on one side of the bottle. It is a beautiful presentation and sealed with a gold top and hang tag. 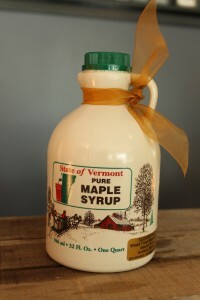 Medium: 8.4oz Large: 16.9oz Filled with Amber with Rich Taste 100% single source Vermont maple syrup. 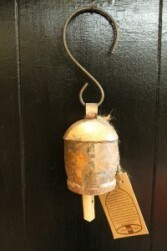 These completely handmade bells are very distinctive from other bells due to the secret family formula of melting various metals and adding the hand hewn wood clapper to make a melodic and echoing tone. For generations the formula has been passed on from one family member to another. The individual tuning of each bell creates the unusual resonate sound. 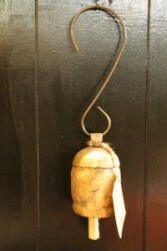 Prices reflect the larger bell sizes: #8, #9, #10 Hooks are sold separately. These completely handmade bells are very distinctive from other bells due to the secret family formula of melting various metals and adding the hand hewn wood clapper to make a melodic and echoing tone. For generations the formula has been passed on from one family member to another. The individual tuning of each bell creates the unusual resonate sound. When you're looking for a unique hostess gift, token of appreciation or just a surprise to brighten someone's day, let PROUD FLOWER deliver one of our many out-of-the-ordinary gifts! We offer dazzling gift wrapping for that extra-special presentation! Our shop is full of many offerings including: locally made SugarTowne wood-fired maple syrup, Nana bell collection, all the makings for enchanting fairy gardens, candles, unique containers and much much more! Enjoy shopping the website for some offerings of our gift collection or stop by and visit PROUD FLOWER - your local Waterbury, VT florist.